There is a chance that you have already heard a lot of things about college life and you cannot help but feel a bit scared because you feel that you already know what you want to expect. Are you sure that everything that you have heard is true? What if some of the things that you have learned are just myths? There is a chance that you have already seen so many movies and television shows wherein the main characters do not have any choice with the type of roommates that they get. Some end up being good friends with their roommates which means that the roommate system of the college has worked well but there are also instances when they make mistakes and your roommate may be someone that you do not want to see but you have no choice because you are sharing a room with that person. You have to remember that your roommate may also be simply your roommate. This may be someone that you can talk to at times and someone that you can say hi to when you pass through him/her in the hallways of your dorm or in your college. Speaking of dorms, you also have to ask yourself why you would need to stay in a dorm anyway when you can easily have other options and go to college at the same time. There are some houses that you can rent out with other people but you can have your own room. Do remember to explore your other options if you are not that comfortable with having a roommate. Like in most school cafeterias, you may have the tendency to think that the food will taste bad. Do remember that a lot of schools and universities are making the effort to make sure that their food will taste good. You also have to remember that people’s tastes always vary. Each university or college will always have different specialties. For instance, some may offer the food restaurant style while there are also some that may already offer meal plans to the students of the university. If you would choose to expect that the food is going to be bad, trying out the food the first time when you get there may leave you pleasantly surprised. You may think that you will become influenced badly by your peers in college but you have to remember that this is not always the case. Studies show that a lot of students who are in college are most likely to pass up on partying in order to study for an upcoming test or to do a paper that is due. Do remember that when you get to college, you may feel the need to party in the beginning because this is the first time that you are going to party without having to think about your parents or the time you are going to get home although some dorms still have rules that you ought to follow. When you are in college, you will feel the need to just do well in school so partying may be at the bottom when it comes to your priorities. There are a lot of people who go to college who say that they have ended up gaining a lot of weight because of the things that they do. Some may have gained weight because of the unhealthy lifestyle that college students live but this does not mean that you will also gain weight. Whether you are highly focused on your lessons or not, there is always a possibility that you are always going to pay attention to your weight and you will begin to notice if there are some habits that you have changed that might contribute to your weight gain. You may have a chance of gaining weight but this is not certain. This is yet again another misconception that you might encounter before you go to college. It is not true that you do not need to do homework in order to survive college. Chances are you will be gone before the year is over if you do not do any effort. There are several things that might affect the grades that you are going to get. You have to make sure that you will attend your classes regularly. You also have to make sure that you will be attentive in class and do all of the projects and homework that are required of you. 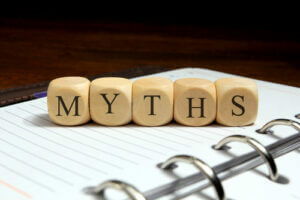 Other myths will be debunked the moment that you know the real world of colleges and universities. Kate Funk is an educator and writer at proessaywriting.com. She has an experience of work with students as volunteers-freelancers and then as valuable employees.